Deliver your news to their front door. Grab attention with textured or transparent paper, metallic finishes or other unique options. Don’t sweat it. We can design and deliver for you! 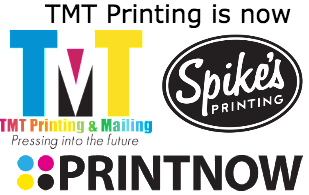 TMT / Spikes Printing can print a variety of products that are used for direct mail. We stock a large variety of envelope sizes and colors. 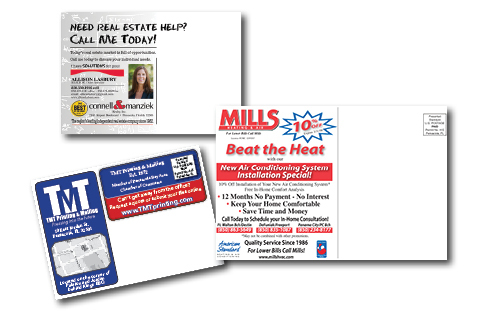 We print postcards, flyers, letters, self-mailers, business reply cards, or anything else that you need to put into the mail. We complete the project by either using your mailing list or procuring a mailing list using your specifications and addressing the printed pieces plus applying barcodes and sorting for maximum postal discounts.